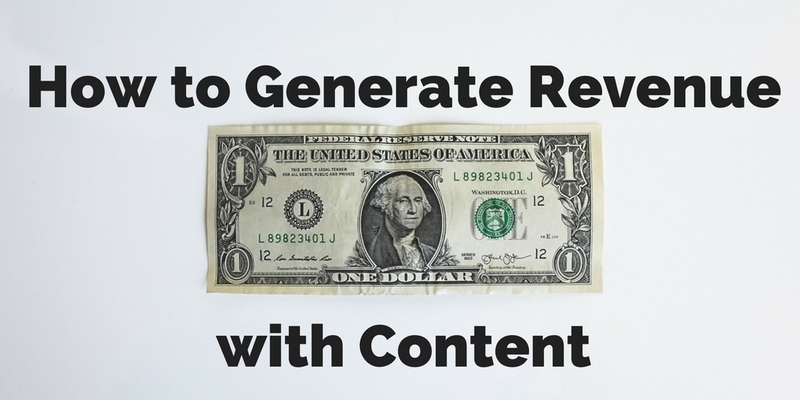 Use these strategies to help your business generate revenue with content. One of the biggest challenges inherent to content marketing is measuring how writing blog posts and posting on social media equals a revenue stream. I know I write over and over again in this space about how content marketing is one of the most effective strategies for growing business and generating revenue. But many in the supply chain industry still struggle to understand the connection. I highly suggest listening to this podcast interview with Content Marketing Institute founder Joe Pulizzi. He talks about monetizing content. In summary, businesses need to be about more than just their products and services — they need to be a valuable resource for their customers. This is why content marketing works. It’s a move away from the promotion of products toward branding oneself as a source of knowledge. But back to monetization. Here are some key takeaways from Joe’s interview about how to generate revenue with content. Once you’ve established your outlets for content distribution (blog, podcast, YouTube channel, social media platforms, or other publishing outlets) and built an audience, how do you go about generating revenue? According to Joe, there are 10 different revenue opportunities. Joe advises that business new to these ideas not try everything at once. “Try one revenue model every six months,” he suggests. Chances are, your marketing department is set up far less efficiently than it should be.